The Federal Inland Revenue Service (FIRS) resumed its enforcement exercise on Monday by shutting down tax-defaulting companies in Lagos and Owerri, Imo State. In Lagos, the premises of Capital Oil Plc, owned by Ifeanyi Ubah, were sealed by the FIRS enforcement team, led by Mrs Anita Erinne. The staff of the company, which is owing N30 million, were ordered out of the premises. The management of the company told the team it was ready to defray its tax liabilities, but FIRS officials said it was not possible because banking hours had elapsed, leaving the FIRS team with no option than to shut its gates. Also in Apapa, the FIRS visited the offices of Folawiyo Energy Trading Company along Creek Road. 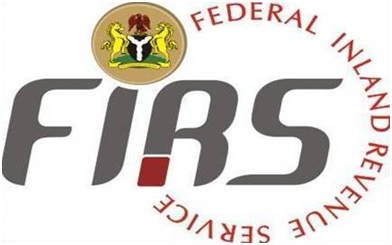 But the company, which the FIRS reckons is owing N450 million in company tax for 2013 to 2015, maintained that it is only owing for last year. The FIRS team did not seal the company, but advised its management to clear the matter up at the FIRS office in Ikoyi. The FIRS enforcement unit also visited the offices of MAKON Engineering and Technical Services Limited, located on 11 Babatunde Anjos Street, Lekki Phase One. However, the enforcement team, which was prepared to lock up the company, changed its mind after the company’s Chief Financial Officer, Lanre Anafi, agreed to the immediate commencement of the payment process of its N26 million tax debt. The enforcement team led by Emeka Obiagwu, FIRS Director of Enforcement, departed the premises after reaching a firm understanding with the company that the debt would be defrayed before the close of work on Monday. In Owerri, capital of Imo State, the FIRS enforcement team sealed the premises of two eateries and hotel. According to the enforcement team, the three outfits were shut after concerted efforts by the FIRS failed to get them to defray their tax liabilities. The affected outfits are City Chef Restaurant, De Mange Eatery House and Comet Hotels and Conference Hall. Speaking to newsmen after the exercise, FIRS enforcement team leader, Mr. Chinazo Udeh, explained that all due processes laid down by law were exhausted before the businesses were sealed. De Mange eatery has a tax liability of N20 million, while City Chef and Comet Hotel and Conference Hall owe N2.1 million and N2.3 million respectively. At the point of sealing Comet Hotel & Conference, the company lawyer rushed to the bank and paid N70,000. But that, according to the enforcement team, was inadequate to unseal the hotel. “They just decided to pay N70,000 out of a tax liability of N2.3m. That does not show seriousness. As a matter of fact, the money they just paid is a penalty for an earlier contravention for late registration. They have paid nothing on the Value Added Tax obligations. In any case, the order to deal this place came from our head office, the order to unseal will also come from there,” said Udeh. The team also moved to Disney Hotels and Oasis Communications to serve reminders.